The (almost comically) stern advisory about the outbreak is urging Americans to steer absolutely clear of romaine until the CDC does its homework on how to keep us safe from the salad leaf. "Consumers who have any type of romaine lettuce in their home should not eat it and should throw it away, even if some of it was eaten and no one has gotten sick," it states. But many on social media aren't as alarmed by this news as they are, well, amused. With the holidays quickly approaching, most agree that romaine lettuce has no place on the family dinner table, and other salad fans are embracing their impending doom. But first, let's get the puns out of the way. Other notables include, "Lettuce romaine calm," "Endive now seen it all," "Are we about to turnip?" 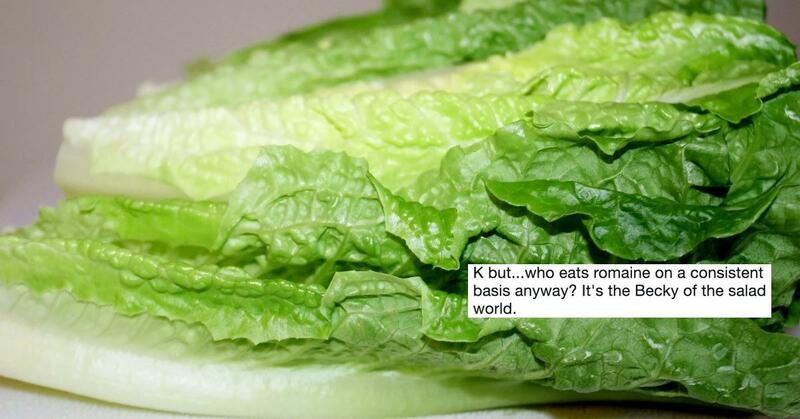 and "I love romaine lettuce from my head to-ma-toes." 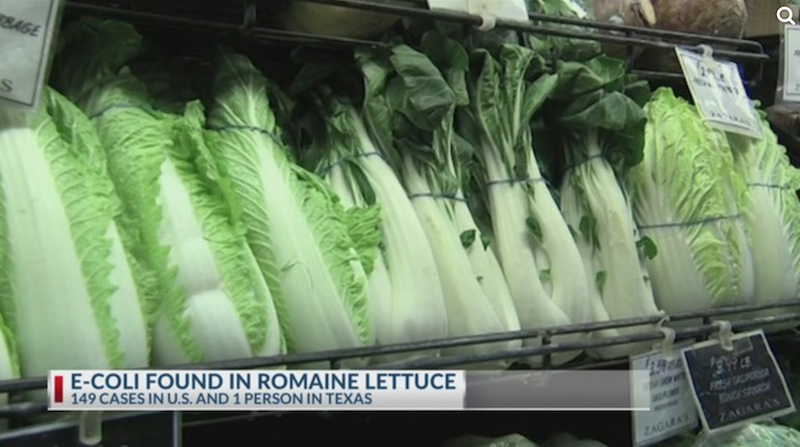 OK, now that we've been through that, it seems important to note how many of the news outlets reporting on the outbreak don't seem to know what romaine lettuce....looks like. I guess everyone's mentally checked out for the holidays. This team probably figured it was close enough? Sometimes I feel like media outlets get away with this kind of thing because their viewers don't challenge them with questions and just take everything they see at face value. Like this poor old grandma who thinks she's just doing her civic duty of relaying important and urgent information to her followers. And is then trolled by her granddaughter. 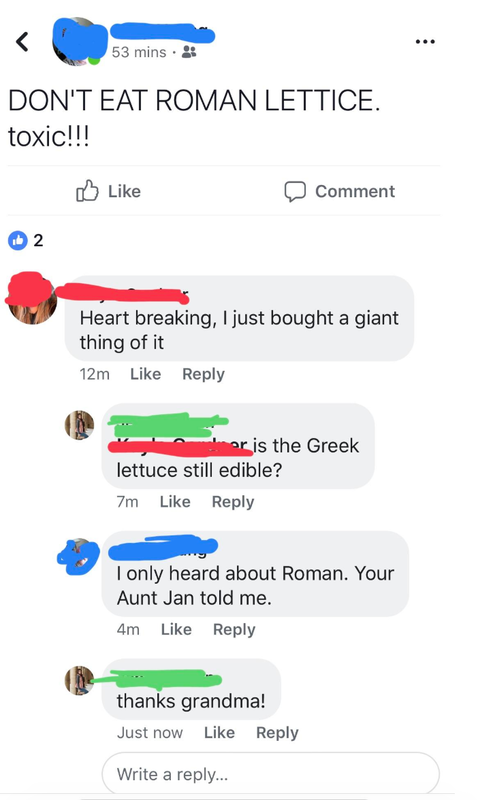 First I thought she had just misspelled romaine, but the whole back-and-forth leads me to think now that she just has no idea what she's talking about. 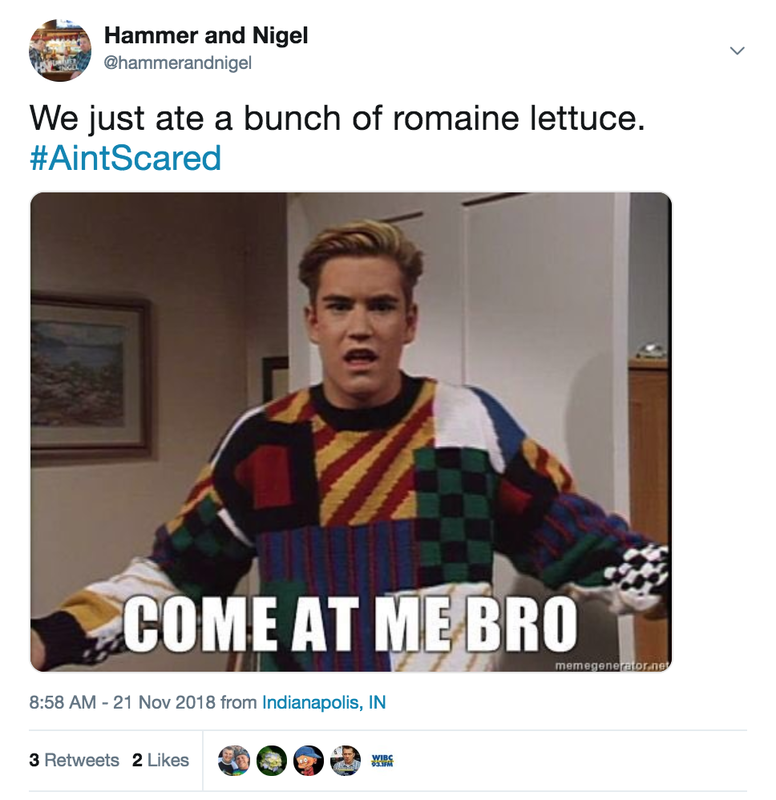 Many people are taking the romaine lettuce warning as a challenge to continue living life on the edge. I will get the last laugh when these thrill-seekers have to cite "eating lettuce" as their cause of death, but I do admire their guts. 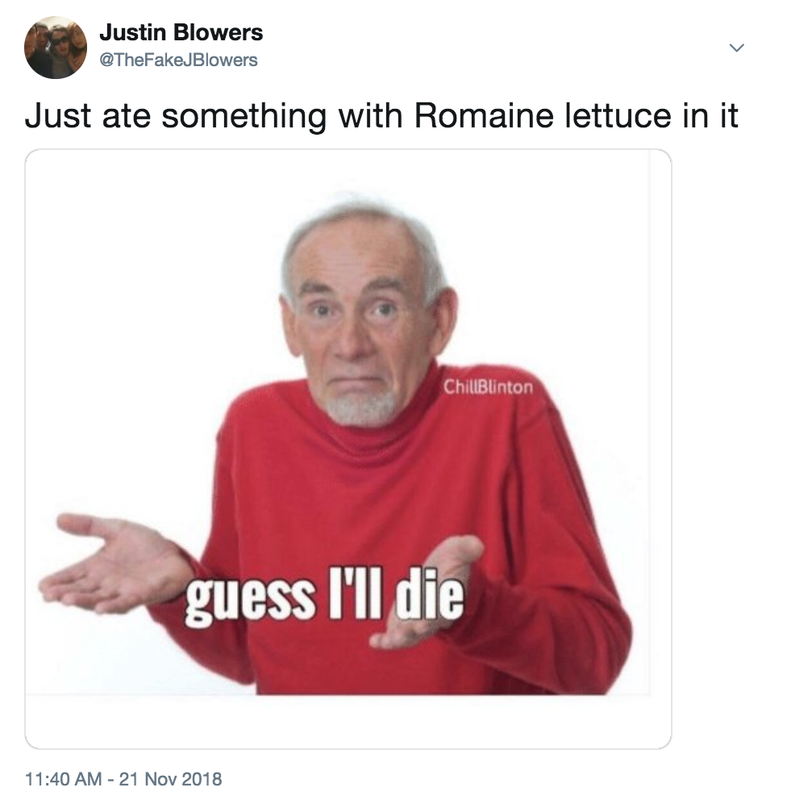 Another guy on Twitter writes, "5 minutes before the CDC alert went out, I bought a salad with romaine lettuce. I ate it anyway and I've never felt more alive." 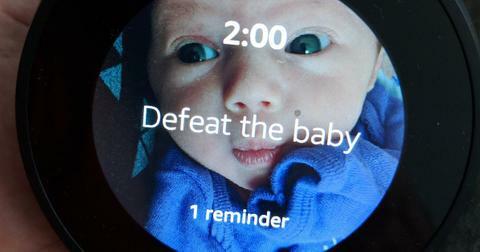 Come to think of it, when did the CDC alert come out? I enjoyed a caesar salad the other day and I'm feeling less "I want to die" than I have during all of 2018. Many are saying this is the moment they've been preparing for their entire lives, when chocolate and red wine are deemed good for your health but salad ingredients are so bad they could kill you. 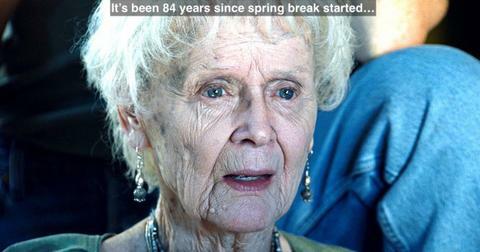 Others are asking themselves when the last time they even ate romaine lettuce was. 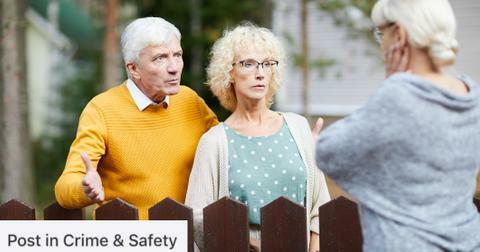 Some are thinking they've been right to avoid it all these years, and others are just relishing in a scary news story that doesn't affect them. 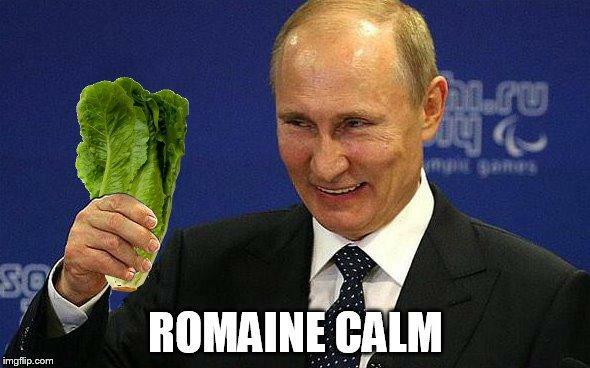 "Wife: There's a recall on romaine lettuce for food poisoning. Me, who's never eaten a salad in my entire life: I was right." If I'm being real, the above sounds to me like my dad just created a social media account and didn't tell me about it. 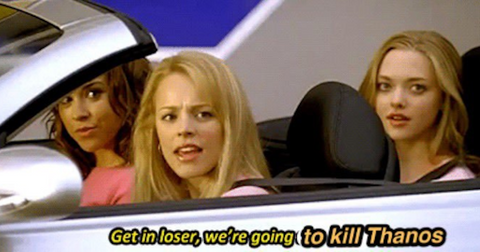 E.coli means that if you don't die from puking your guts out, at least you'll be bikini-ready, right? This other guy is just enjoying living his life, and posting about it on social media, because that's just what it means to be alive in this day and age. Honestly, I think his tweet might be my favorite so far.